This guide contains information on how divorce may affect your adopted child differently, as well as how to help your child cope with the changes that occur before, during and after the divorce. You will also find tips on what measures to take to protect your rights and those of your children, as well as how to effectively co-parent with your former spouse. This guide is designed to reinforce to your children that, no matter what, you will always be a forever family. When a couple with adopted children reaches the conclusion that the best course of action is to legally end their marriage, there are actions that should be taken by each parent to ensure the divorce is done in an efficient way for the sake of the family. Co-parenting an adopted child, in many ways, is very similar to co-parenting a biological child. Your rights and responsibilities to your adopted child are the same as they would be if the child had been born to you. The following resources provide valuable information on important details on which to take action once you and your spouse make the decision to divorce. Find an experienced attorney you trust. Even if your relationship is amicable, it is still advisable to seek legal counsel, because an attorney has the experience to take the guesswork out of all of the aspects of divorce for you. Your attorney will also help you protect your financial resources and update your will and account beneficiaries. 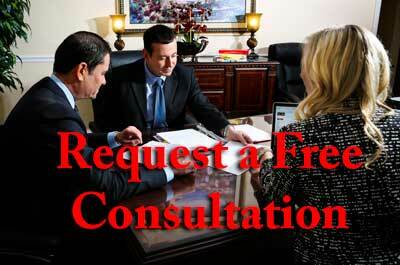 Ayo and Iken has experienced attorneys that can help you accomplish both objectives. Develop a custody arrangement. This is something that will be finalized in your divorce decree, but the sooner the plan is worked out, the better, as you can begin to incorporate it into your children’s lives and give them some stability. Ideally, the two of you will be able to reach an agreement on how matters such as custody and medical decisions will be made, but your attorney should put together all of the necessary paperwork to make sure that all arrangements are enforceable now and in the future. Understand your rights to child support. This article discusses how courts calculate child support, which is based on criteria such as the needs of the child(ren), the income of the custodial parent, and the paying parent’s ability to make payments. It’s important to know that federal adoption subsidies, which are designed to offset some of the costs required to care for special-needs children, do not affect how child support is calculated. Furthermore, custodial fathers have the same rights to child support as custodial mothers. Know that you and your child have rights that are protected by law. This website provides information on the various state divorce laws, but there are some that cross state borders. For example, whether or not you are the custodial parent, you have the right to see your child, and your former spouse has a legal obligation to ensure that you do. If you feel your or your child’s rights aren’t being respected, contact your attorney immediately. You may also wish to contact your District Attorney’s office, or the Office of Child Support Enforcement. Your attorney will work with you to make sure your rights – and those of your child – are upheld by the law. Find a support group. The North American Council on Adoptable Children (NACAC) has a database of nearly 900 adoption-related support groups in the United States and Canada. There are also Adoption Meetup groups across the country. Many of the groups from both resources have members who are also divorced parents of adopted children. You can also reach out to your local community center or church to find out what kind of support meetings they offer. How Does Divorce Affect Children? How is it Different for Adopted Children? Divorce is almost always difficult for any child. However, adopted children may feel burdens that biological children to divorcing parents don’t face, such as identity issues related to questions about birth parents which can cause low self-esteem. It can be helpful to you as a parent to understand what some of these added anxieties may be, and the roots of their causes. There are seven core issues in adoption that may resurface or amplify for children during divorce. These issues, from research conducted by Licensed Clinical Social Worker Deborah N. Silverstein and adoption specialist and educator Sharon Roszia, are identified as loss, rejection, guilt/shame, grief, identity, intimacy, and mastery/control. In the book Adoption Parenting: Creating a Toolbox, Building Connections, Jean MacLeod describes how some of these issues can be activated or reactivated for adoptees. For example, an adopted child may feel rejected by both their birth and adopted parents, and grief over a perceived inability to “fit” in the adoptive family. Adoptees may feel like an “outsider” among their peers. Even for children who have a positive outlook on having been adopted, they may once again feel like a minority among their friends and classmates, because they are now children of divorce on top of being children who were adopted. Adopted children may already have underlying feelings of loss and abandonment. The security that a child may have felt in their adopted family can be threatened when the parents divorce. If the child is old enough to remember the adoption process, the risk can be even greater that these feelings will once again be triggered. There may be trepidation of once again being “given up” by their parents. Although parents who adopt generally reassure their child that he or she wasn’t recklessly abandoned or given up by the biological parents, the child is still prone to worry that his or her adopted parents may detach from the relationship they have with him or her. Adopted children may feel the idea of a stable family is an unreachable goal. Divorce inevitably brings with it the demise of the stable, dependable relationship between a child’s two parents, and creates a schism in the structure they once relied upon – two married parents raising their child in one home. Adoptees can be affected even more severely, because they may feel the “ideal” family they were promised by the parents who adopted them has been ripped away. Adopted children may experience severe attachment issues. Many children feel guilt for spending more time with one parent over the other post-divorce, especially if one parent is awarded primary physical custody. This guilt often leads to attachment issues to the parent the child doesn’t see as often. Adopted children can feel this distress to a greater degree, because they recognize that although both parents made the decision to adopt and to love them, they now have little or no choice in how regularly they visit one of their parents. Adoptees may feel they are missing out on the opportunity to just be a kid. Many children, especially adolescents and teenagers, feel an added responsibility to their divorcing parents to be a strong supportive figure during a time of such difficulty. This can be intensified for children who were adopted at an older age and who may have been through a foster care system in which they felt they had to be either their own caretakers or role models for other foster children. Through the divorce’s progression, it is important to emphasize to your children that both you and your former spouse are going to continually be there for your children to guide them through whatever feelings or questions they may have. The following resources provide useful information on how to establish that your child will come first before, during and after the divorce. Whenever possible, tell your children together about your plans to divorce. You are all about to embark on a new journey together, and although it will certainly be difficult at times, you are all traveling this new path as a family. Your children still have the right to love and spend time with both parents, and the first way to demonstrate that this merit will be protected is by breaking the difficult news to your family together, as two parents who are going to continually work as a team to raise your children. Explain, and continue to reassure, that your child is not to blame. It is natural for children to wonder if they had anything to do with their parents’ separation. While it is important to tell them up front that only adults can be held responsible for their divorce, it is just as critical to continue to stress this throughout the separation process. Ease them into the changes. Just as you would gradually adjust your kids into the idea of the arrival of a new child, whether by birth or adoption, it is equally beneficial to progressively move them toward the changes that will come from the divorce. For example, if one parent moves out of the family home right away, make it a priority that your children are still able to spend time with him or her, and don’t immediately remove family photos that include your former partner. It will take your children time to get used to the idea that there will be a new routine for all of you, and taking things step-by-step will ease the sting. Be honest and age-appropriate with your children when they have questions. These will often be related to the divorce, but the divorce itself may prompt more questions about your child’s adoption. It is important to make sure your child understands that it’s perfectly acceptable to be asking questions. However, there is nothing wrong with declining to give specific information to your child if you don’t feel comfortable providing it. Avoid badmouthing your former spouse. You run the risk of undermining the concept that you, the other parent, and your child(ren) are still a family, even with the divorce. You don’t need to make excuses if your ex-spouse behaves poorly, but try to keep the tone positive. Show a united front. No matter what age he or she is, if your child has a special occasion such as a school play or an awards ceremony, try to sit together in the audience or congratulate him or her after the event as a pair, if at all possible. This reinforces the fact that you will both always be there to support him or her, because no matter what, you are all still a family. Continue demonstrating the good habits you put into place before and during the process of your divorce. It may seem like obvious advice, but when you and your former spouse have built a solid foundation for co-parenting while separated before the finalization of your divorce, it is vital to remember to continue to be amicable for the sake of your children. Be as flexible with visitation as possible. Although you and your ex-husband or ex-wife should have a set schedule, sometimes the unexpected can happen despite everyone’s best efforts, and your children should not be punished for scheduling conflicts by not getting to see one of their parents. Remember, your children have the right to see both of their parents, so this should be a priority. Have patience and empathy. In the same way that you might not feel emotionally restored when the divorce is finalized, your children probably won’t, either. Don’t be discouraged if the healing process takes some time. The fact that your child may take longer to come to terms with all of the changes brought on by the divorce than you hoped doesn’t make you a bad parent. Ultimately, your child is mourning a loss, and that timeline is different for everyone. While divorce has an ending as far as the legal process is concerned, the struggle might last far longer for your children. The following resources offer insight as to how to identify if your child is struggling, and the ways you can assist him or her in reaching acceptance and, ultimately, a positive view of your new family structure. Keeping the lines of communication open is key. If your child is struggling, he or she may not volunteer that information freely. If he or she is more reserved than prior to the divorce, or if he or she refuses to talk about the divorce or the other parent in your presence, you may have to take the initiative in addressing the underlying issue. Reestablish trust between you, your children and your former spouse. This article illuminates how some children may have trust issues after a divorce, especially if they’re adopted and may feel they can’t trust their adopted parents not to abandon them the way they may feel their biological ones did. Comfort your children by showing them they have a strong support system of two parents who, while no longer married, still trust each other to love and do whatever is best for the children they share. Avoid making your child feel like a dual citizen between his or her two homes. If your child is acting out, reevaluate the consistency between your home and your former spouse’s. If your child is living by two different sets of rules, a lack of stability between both homes could be to blame. Children thrive on routine, so work on formulating a dependable structure that your child will adhere to whether staying with you or your former partner. If you are concerned that your child is struggling, therapy sessions may be an ideal solution. If your child is hurting over the divorce, he or she may not want to open up to you and the other parent at the risk of hurting your feelings. If your child is hesitant to go to a “feelings doctor,” try offering to go, too, either in a joint or individual session for yourself. This is often an example children need to follow from their parents in order to feel comfortable with it. When creating and abiding by a post-divorce agreement, it’s ideal to work cohesively with your ex-spouse for the sake of yourselves and your children. The following resources provide suggestions for how to develop a successful partnership for co-parenting your children. Try to research options together. It can be helpful to involve a neutral third party, such as a divorce mediator, a counselor or a therapist. Under the guidance of your attorney, who will make sure you both understand your rights and those of your children, working together with your former partner to build an agreement you are both comfortable with can be essential in making the divorce process and life post-divorce amicable, and therefore, easier for your children. Include as many details in your divorce decree as possible for matters such as child support payments, custody arrangements, bill payments, and insurance responsibilities. When these details are taken care of on the front end and made part of a formal, in-writing agreement, you won’t have to worry about it becoming an issue later down the road. Work with your former spouse to create a set of rules, guidelines and expectations that your children will be expected to follow with both parents. This article has a great list of things you and the other parent need to agree upon, such as uniform rules for homework, bedtime, and consequences, that will be consistent between both homes. If a child gets grounded at one parent’s house, and that punishment is extended to the time he or she spends at the other parent’s house, the child will see that, as promised, both parents are still working together as a unit. There are many books and videos available that you can read or watch with your children to help them cope with your divorce. The following resources may help your children’s view of your family’s new situation, and help them to realize that there are other children who have felt many of the same things they may be feeling. This list of children’s books is recommended by Jan MacLeod, editor and contributor to the book Adoption Parenting: Creating a Toolbox, Building Connections. They all have at least a four- out of five-star rating by Amazon users. The beloved children’s program Sesame Street offers a free video on Amazon that talks to young children about divorce, and why it doesn’t mean a family isn’t still a family. There is also a video on Sesame Street’s YouTube channel called “Bird Family” Song, where the characters Abby and Birdie sing a tune about their parents who live in different places. Divorce is never easy for anyone involved, and although your adopted child may face struggles with it that you feel you can’t relate to, there are many ways you can help him or her, and many resources available to guide both of you in a brighter direction through it. Practicing compassion, identifying signs of latent fears, and consistent emphasis that your child will always have a family and two parents that love him or her unconditionally will help leave no doubt in your child’s mind that he or she will always be part of your forever family.